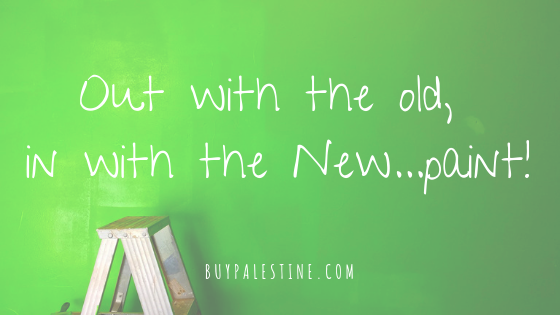 Palestine Real Estate & Palestine TX Homes For Sale | BuyPalestine.com Out with the old, in with the new...paint! Out with the old, in with the new…paint! It truly is amazing what a bucket of paint and a brush can do. Fresh paint brings new life into almost anything in a house. Even though I see the transformations weekly, there is still nothing as satisfyingly fresh as a new coat of paint. It’s a versatile tool—you can use it to emphasize key features or to down play the flaws, or just change the feel altogether. There are many reasons for new paint, but most houses need repainting every 5-10 years. Bathrooms, entryways and kitchens may need it more often than other rooms, since they are more “lived in” areas of the house. Living rooms, home offices and bedrooms tend to be the longest lasting paint jobs and may only need a fresh coat if you want to change the color. Luckily, painting is one of the cheapest home projects that is a fairly easy DIY project. For many people, the job of painting itself isn’t what stops them from updating with paint, it is the chore of picking a paint color. Not going to lie, for certain projects, picking paint colors can be tricky. Have you seen the 10,000 shades of greige?! If you’re color shy, my suggestion for the main living spaces is to go neutral. It’s a safer bet over bold hues (like dark red or navy) and lighter colors will lend a sense of space that dark colors will not. Grey, Beige and the blended “greiges” (no, I did not make that up) match nearly every décor style. Neutral doesn’t have to be blah! You can still add personality; just keep it in the neutral family with bright white trim and then add accent colors in your décor pieces, which are much easier to change out than paint. However, if the greige look isn’t your thing—add some color, but be sure to keep it muted so it doesn’t overwhelm the space. Light blues, greens and even purples can be very Zen and spa-like colors, if they are muted enough to not completely take over. Once you are ready to make the big color decision, take a trip to your local hardware store and get a few swatches in the tones you are considering. Take them home and stick them up on the wall. Look at them at different times of day, as the light in the room will change throughout a 24-hour period. Short of painting test strips on the wall (which is also an option, if you’re so inclined), this is the best way to see how the colors change with the light in your home. Paint is not a lifetime investment, but it’s also not something you want to be doing all the time either. A little extra time spent in choosing the perfect hue is well worth it. Spring is here and it’s a time of transformation, so what better time to make a change with paint? Paint is a much cheaper option than a full-on remodel and can add a small dose of pleasantness in your daily life. It’s relatively easy and it’s fairly quick! Now the main question is…when will you start?